Ever since highschool–some 25 years ago–I’ve been intrigued by stories of thru-hikers on the Appalachain Trail. 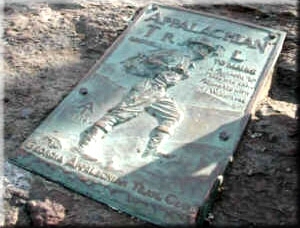 For the uninitiated, the Appalachain Trail (or the A.T.) is a hiking trail that spans over 2,000 miles through 14 states from Spinger Mountain in Georgia through Mount Katahbin in Maine. Most thru-hikers will take the north-bound route starting in Georgia. But this is more tradition than anything else. Many hikers also choose to start in Maine and hike south-bound or some will also section hike instead of doing the whole 2000 plus miles in one go. Perhaps this is my version of a mid-life crisis, but I have decided to thru-hike the A.T. starting in March of next year (2015). If a hiker can last through the whole thing, it genearlly takes approximately six months to thru-hike the entire way. I will be hiking north-bound and am starting the process of getting my mind, body, and gear ready. But, I’m not called the “macabre tourist” for nothing! Thru-hikers can be guarenteed to meet people from all walks of life with many stories to share. So I’ll also be attempting to document the stories, haunts, ghosts and creepy crawlies in the vast wilderness! Over the next year, I’ll be sharing with you my pre-hike “gear list.” And invite those that have gone before me to give feedback and please share any AT ghost stories or places where I should pay special attention!